This entry was posted in Bamboo Flooring Company News and tagged bamboo durability, commercial properties, flooring for commercial use, strand woven bamboo flooring on December 22, 2015 by chris elliott. This entry was posted in Bamboo Flooring Company News and tagged commercial properties, flooring for commercial use, strand woven bamboo on December 16, 2015 by chris elliott. This entry was posted in Bamboo Flooring Company News and tagged bamboo durability, commercial properties, flooring for commercial use, strand woven bamboo flooring on December 15, 2015 by chris elliott. 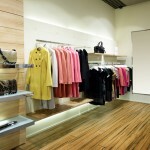 Can Bamboo Flooring be used in commercial properties? Yes, Strand Woven Bamboo flooring is ideal for commercial properties as it is extremely strong, durable, and easy to maintain. 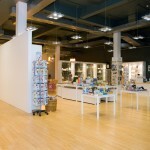 Commercial properties consist of high traffic areas so will rely on the flooring being hard wearing and resilient. 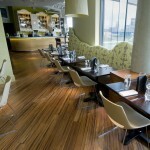 Strand woven bamboo is one of the hardest natural flooring materials around and is over twice as hard as Oak flooring, making it a popular and sensible choice for any commercial area. This entry was posted in Bamboo Floors and tagged commercial properties, flooring for commercial use, bamboo flooring, strand woven bamboo flooring, strand woven bamboo on February 18, 2015 by chris elliott.